This gorgeous Petersite gemstone is marbled with caramel colors and deep blues making this stone exquiste. 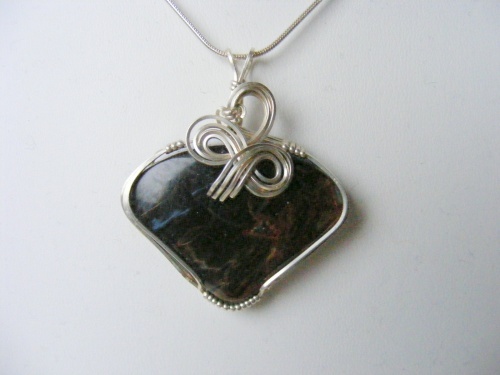 Sculpted in sterling silver curls, piece measures 1 3/4" from top of bail to bottom of gemstone and,1 1/4" wide. Comes with a sterling silver snake chain.